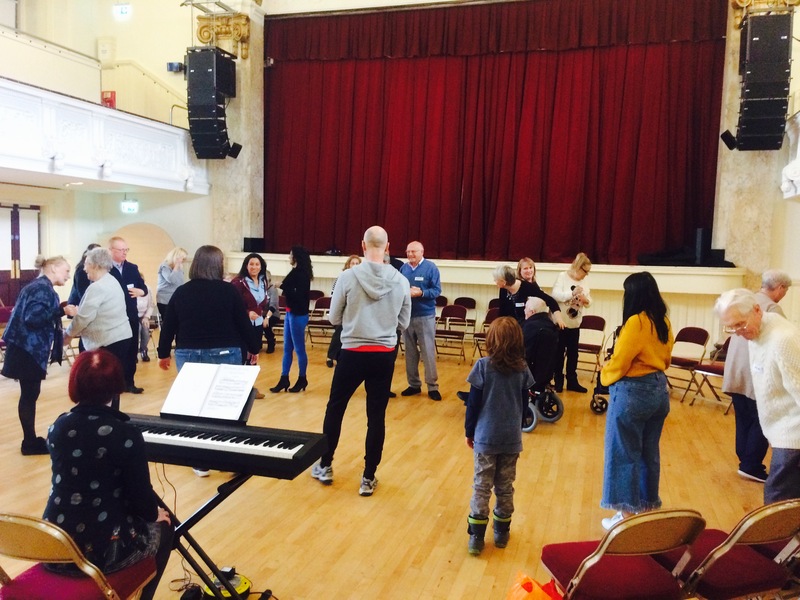 Light relief for those living with dementia is on offer at Airdrie Town Hall, with the Scottish Opera and CultureNL Memory Spinners art workshops, running Mondays from 29 January – 23 March (1-3pm). Using music, movement and visual arts, the free of charge programme helps both people with dementia and their carers relax and form support networks. Park Springs Care Home employee Rose Brennan said: “Our group – Ronnie, Betty, Margaret and myself – has been attending since the first session and I can’t tell you how much we have enjoyed it. The Park Spring group are just three of around twenty six participants coming to the workshops on a regular basis. Each session starts with a half hour lunch, where the group can get to know each other before the activities begin. After lunch the group moves on to a warm up, which leads on to singing and acting activities. Echoing this sentiment was visual artist Joe Gair. All of the group’s crafted props and drama activities will be brought together at the end of the programme, in a show for their friends and family. Reflecting on the workshops, McArthur explained that no previous arts or performance experience is required. Julie, Thanks for posting and offering insight through the interviews with the participants/carers. DC.